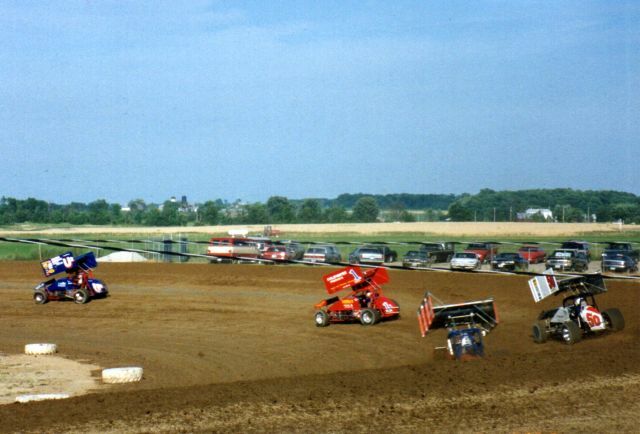 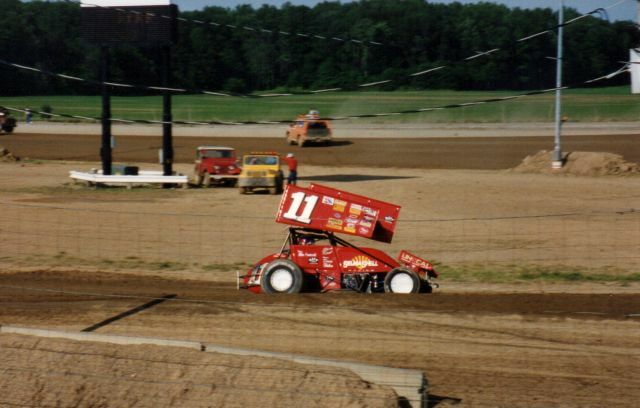 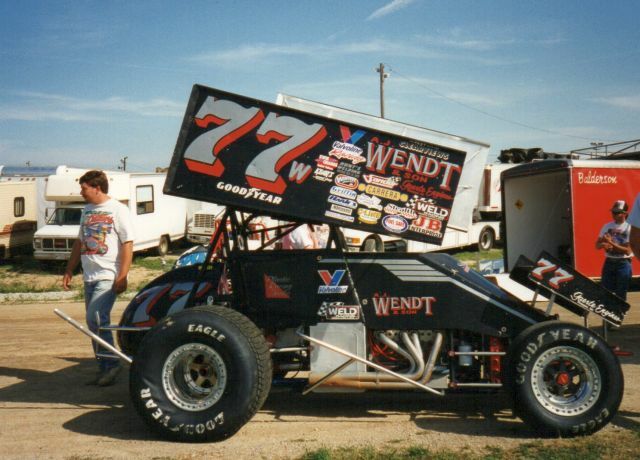 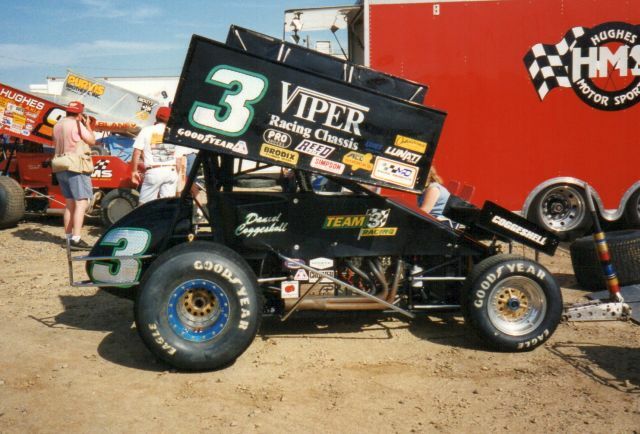 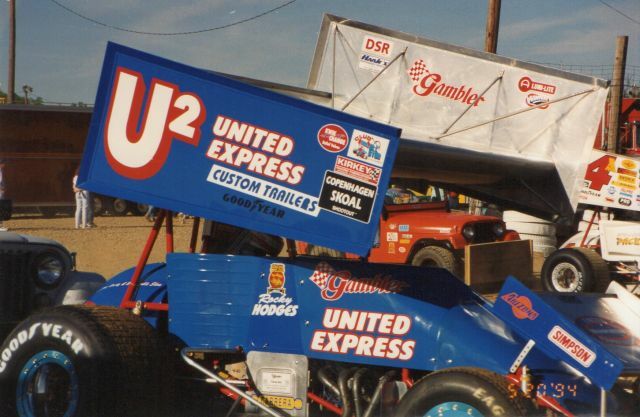 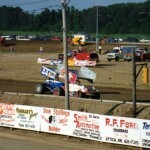 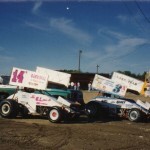 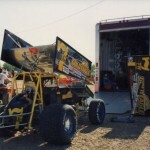 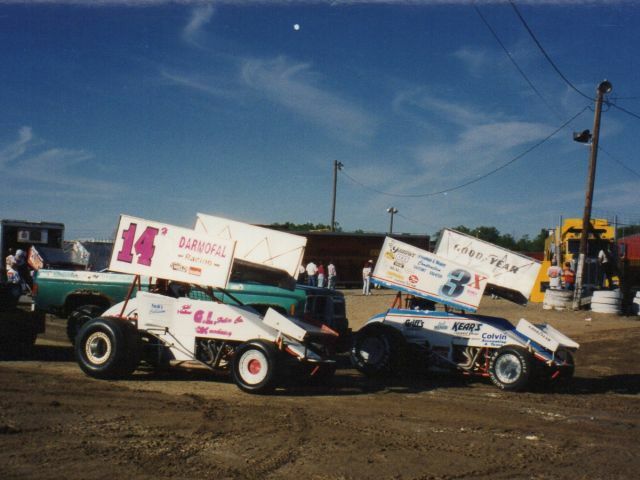 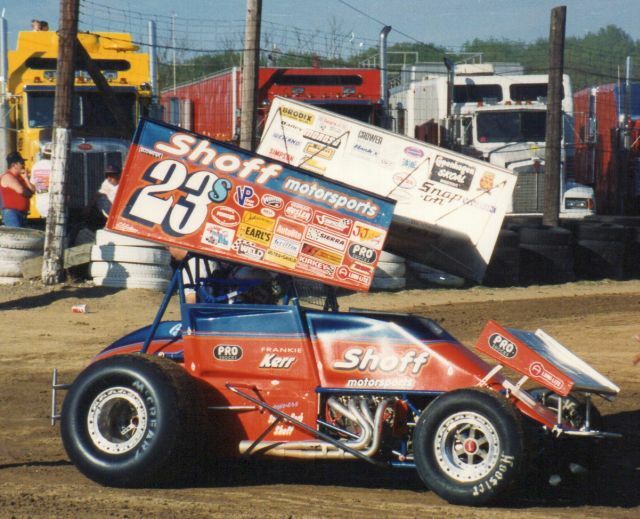 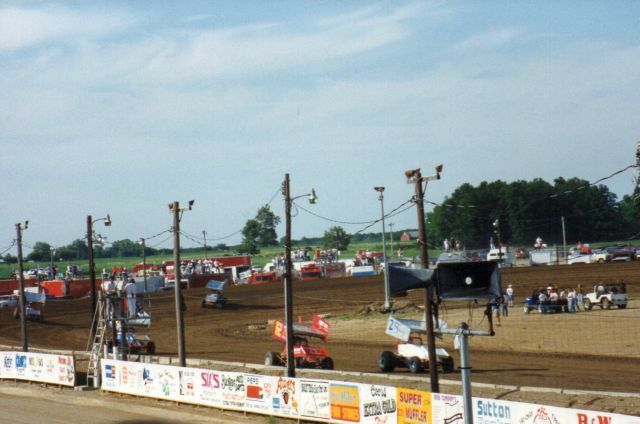 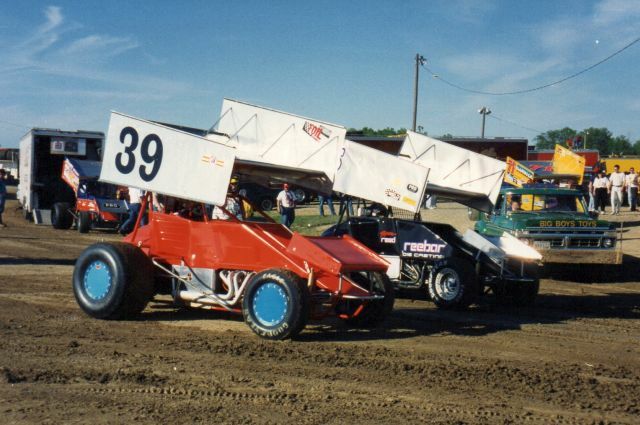 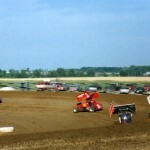 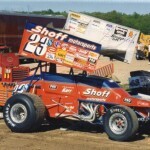 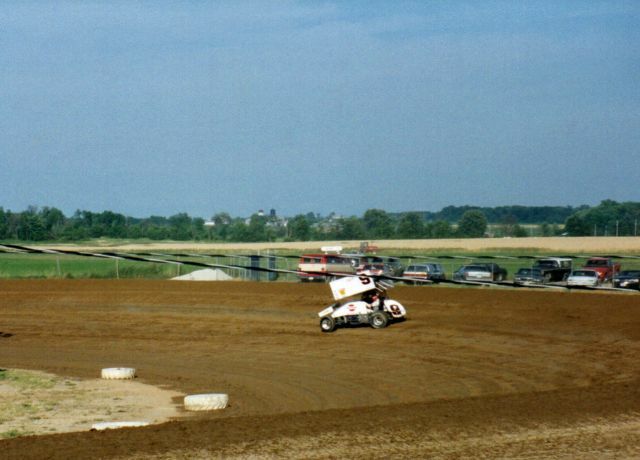 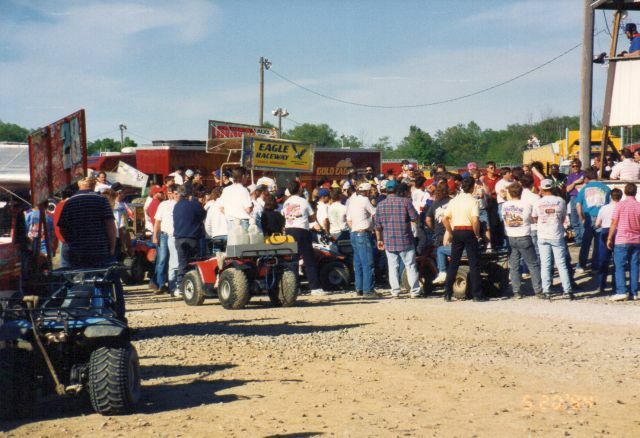 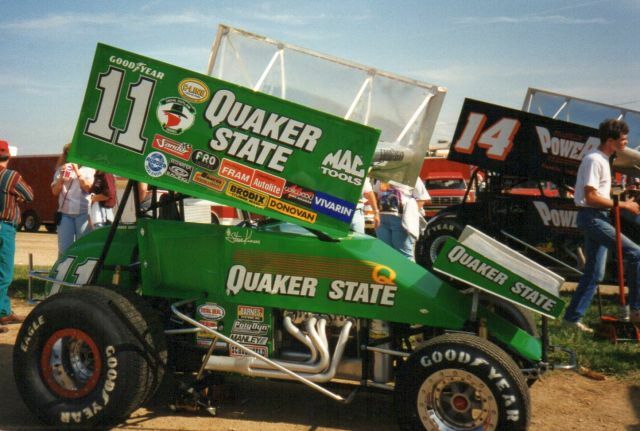 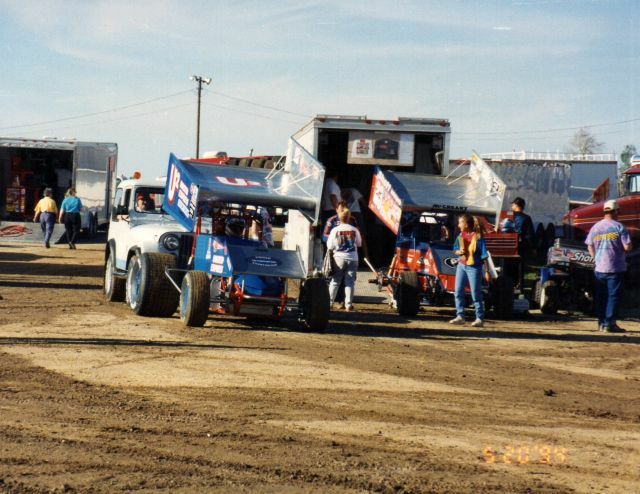 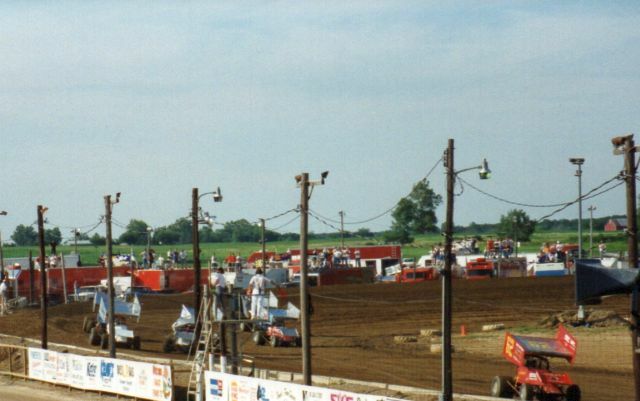 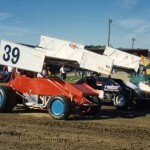 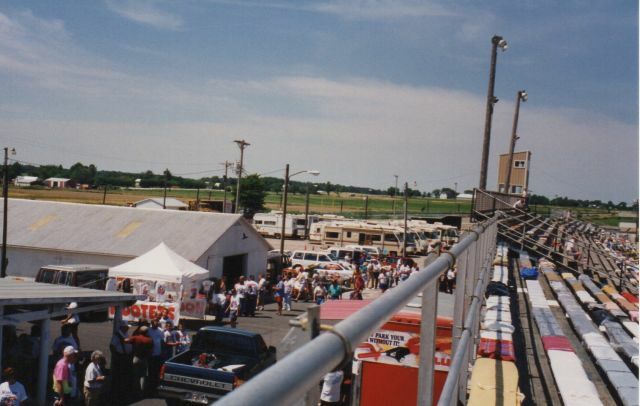 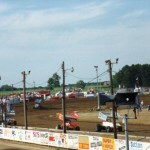 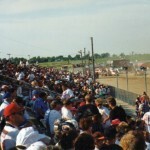 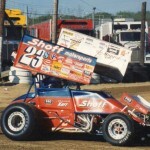 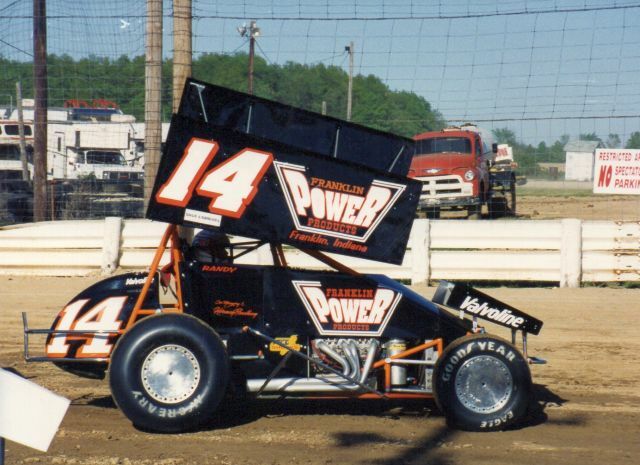 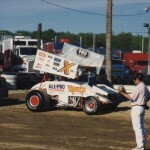 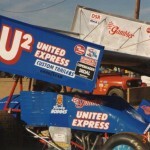 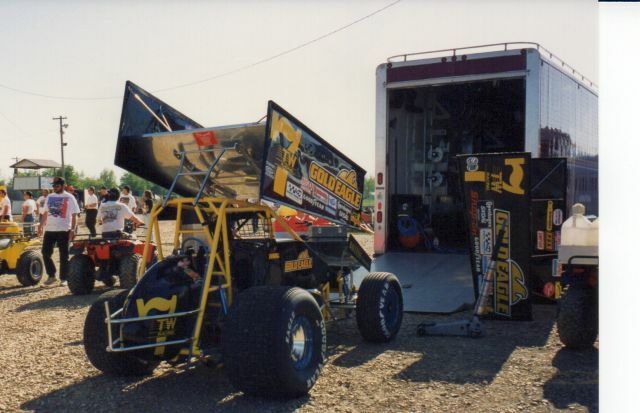 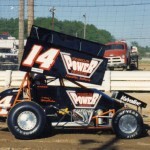 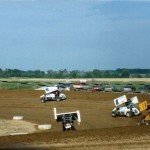 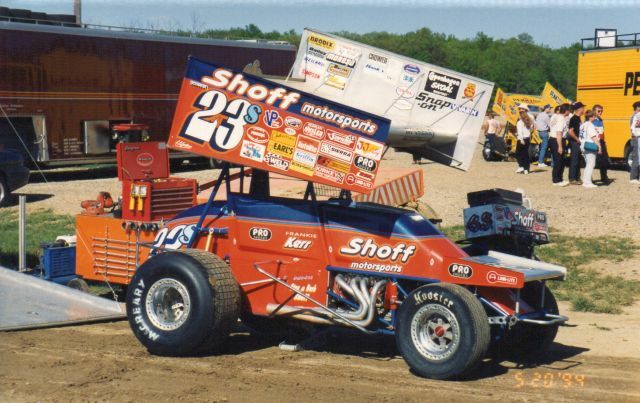 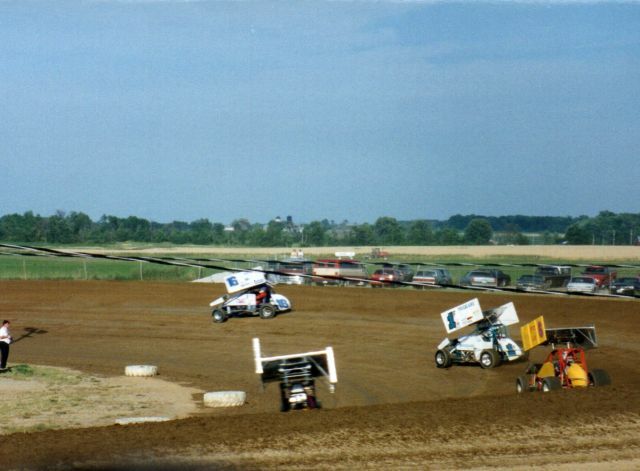 The following images are a mix between a World of Outlaws program on May 21, 1994 and the famous Ohio Sprint Speedweek race on July 8, 1995 when Mark Keegan passed Steve Kinser for the feature victory. 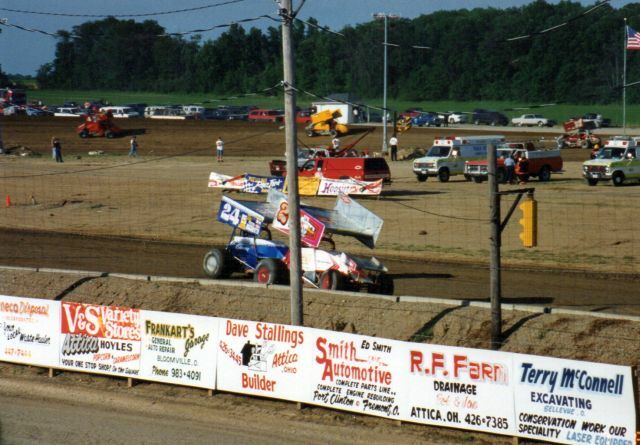 The reason I choose various photos from both of these dates in Attica history is they pre-date the website back when my Dad and I would travel around watching races all over the Midwest. 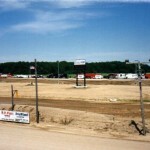 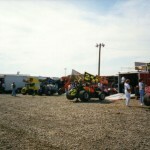 During these travels Attica Raceway Park played a big roll in creation of this website. 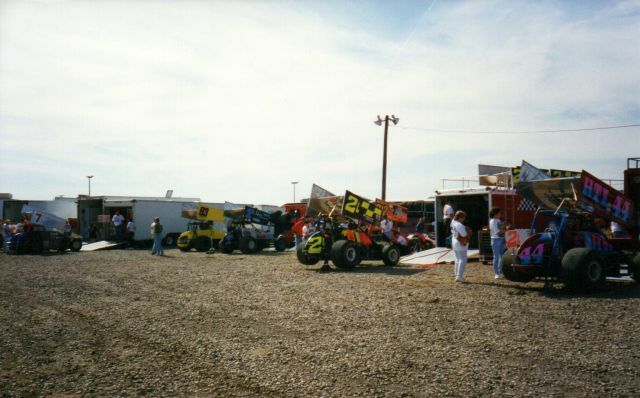 Attica announcer Rick LeJeune wrote an awesome column every week in Mid-American Racing News and the information he would deliver over the p.a. 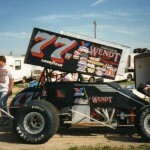 system patterned some of the things we still keep track of today. 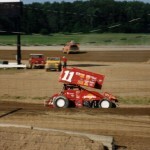 Attica’s efficiency also created the standard on that our staff users to judge all other tracks on today. 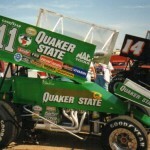 The significance of the World of Outlaws program has to do with me getting my driver’s license. 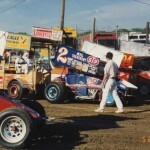 I stayed home while my Dad and his friend Rod went to Attica. 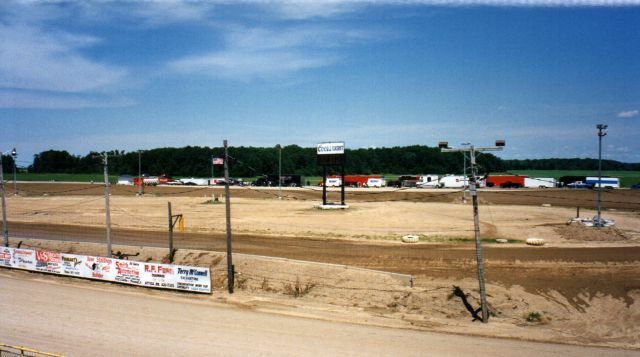 Not wanting to miss going to the races I went to the very first Interstate Racing Association held in Michigan at I-96 Speedway the same night. 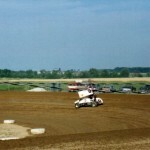 My Mother was slightly nervous about her newly licensed son taking off to go racing and tagged along. 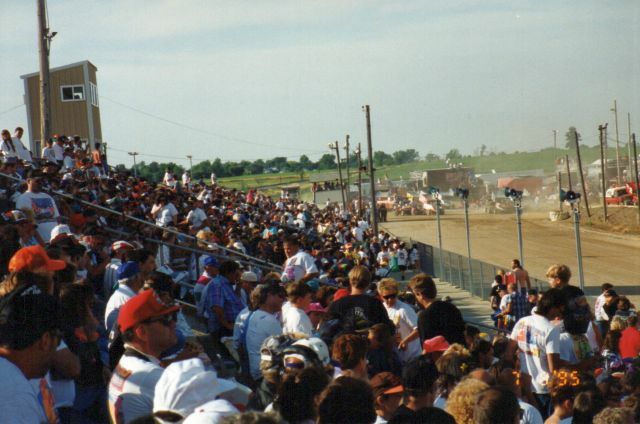 A tremendous field of cars gathered at I-96 with over 50 cars and a change to the pit configuration because of the pit entrance in turn one being closed where the small set of stands between the pit grandstand and the main standing being closed. 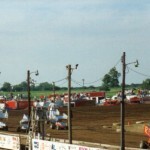 It was a rather long night, but an excellent show. 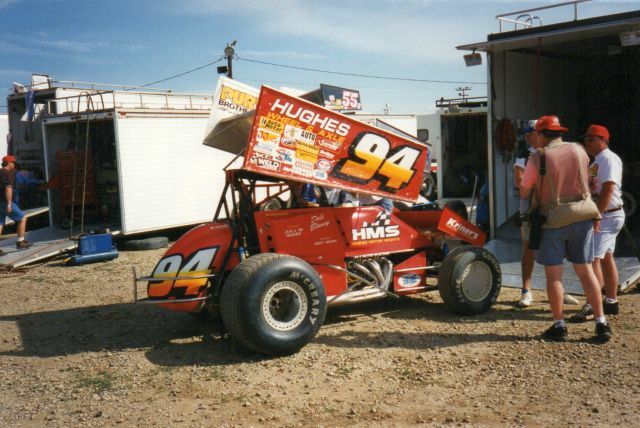 In fact the night lasted so long that my Dad and Rod actually got home, a drive that is around four hours, before my Mom and I from I-96 which was only about 30 minutes away. 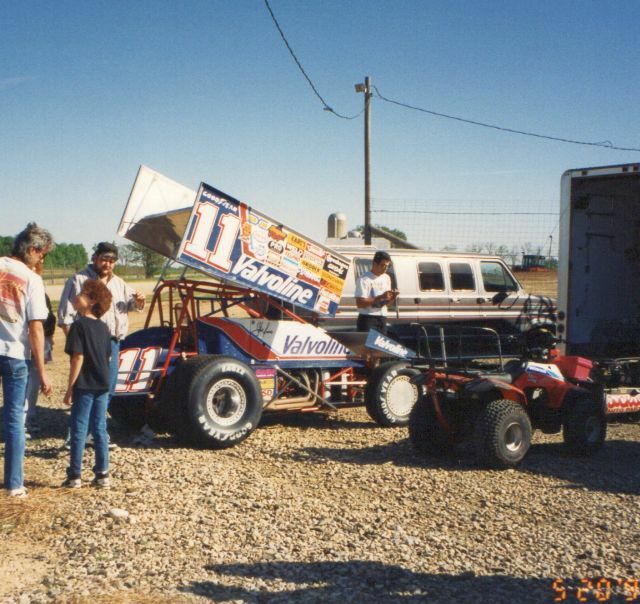 Once Mom and I arrived home we all sat around the table and talked about our racing nights. 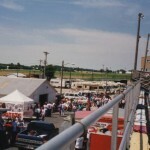 My Mom still recalls this as one of her favorite, if not her favorite, night at the races. 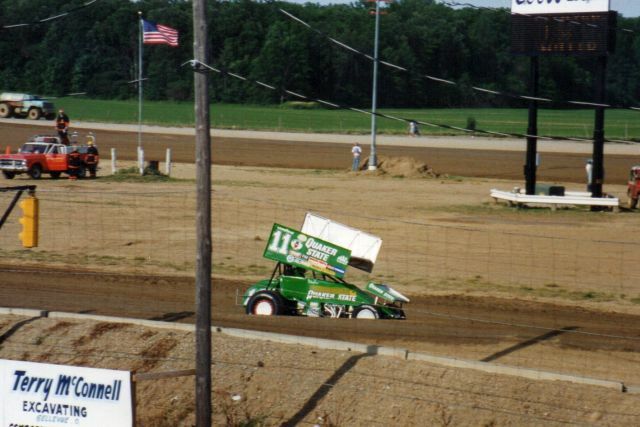 The now infamous Keegan passing Kinser moment was special too. 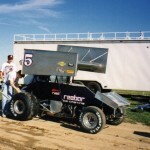 I have never witnessed a single race win change a racer car driver’s perception with the public more than that win did for Keegan. 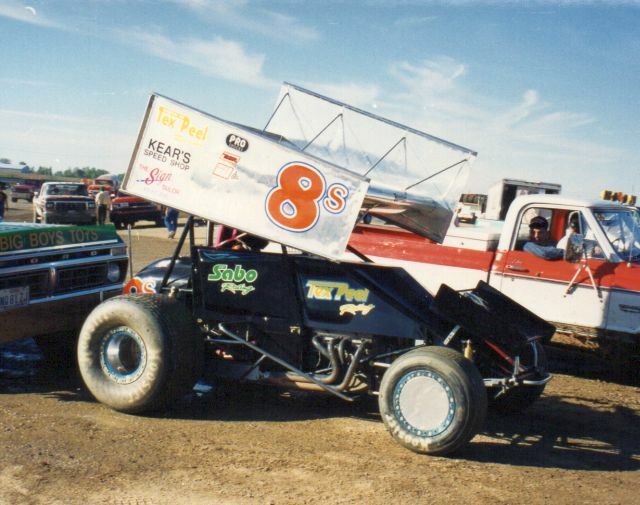 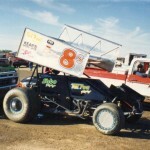 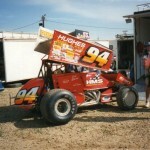 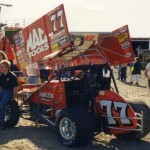 Previously Keegan played the villain roll on the Attica / Fremont circuit. 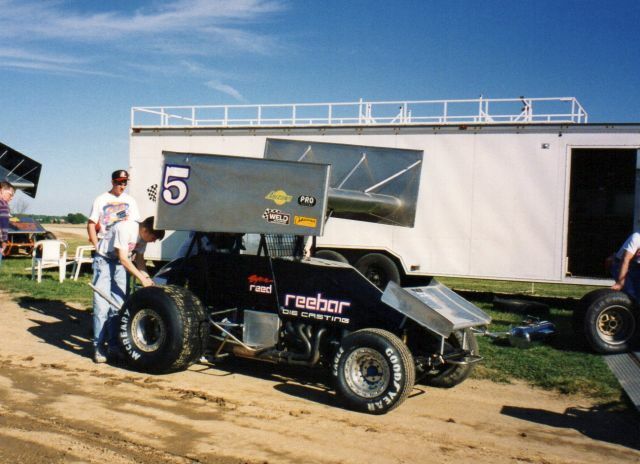 Keegan had hooked up with car owner Lenny Ferguson earlier in the year. 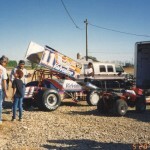 The combination had been doing fairly, but crashed during Speedweek. 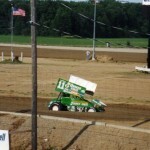 Ferguson and the crew got the car back together and had a top three finish at Limaland the night before. 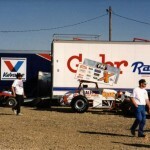 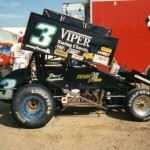 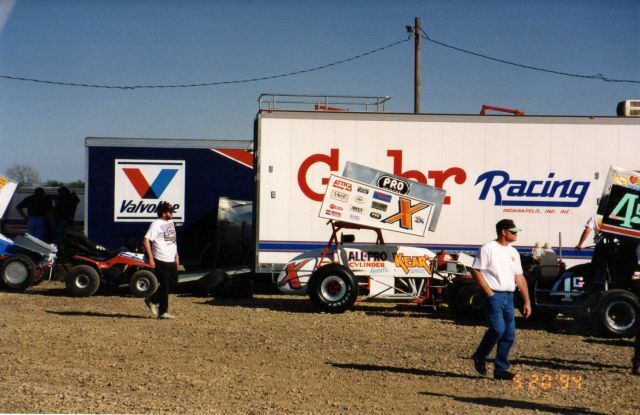 Throughout the night rumor had spread of Kinser, who had just come off of parting ways with Kenny Bernstein’s NASCAR team and had returned to sprint car racing with his own team. 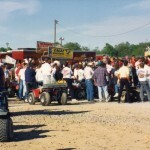 Keegan proclaimed over the p.a. 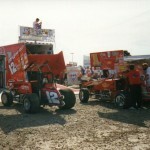 system at Lima after the feature that he did not care who showed up on Saturday and felt they were contenders to win. 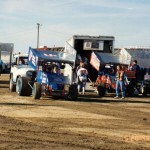 Keegan was able to back up his words that faithful Saturday night. 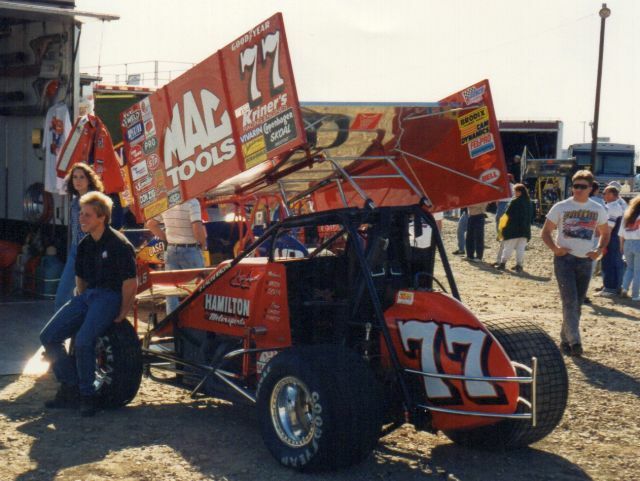 Ferguson, one of the most humble and upbeat people I know, later went on to be an official with the World of Outlaws Gumout Series. 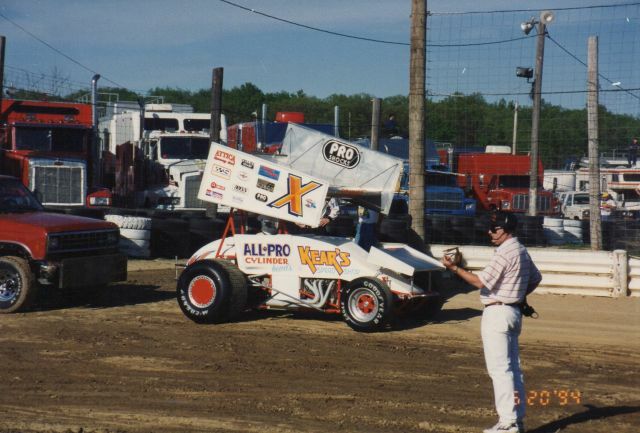 When I would occasionally travel with Ferguson, then flagman and now Attica general manager Rex LeJeune, and Rick Ferkel I would hear bits and pieces behind this great moment and get better perspective on how extraordinary it really was. 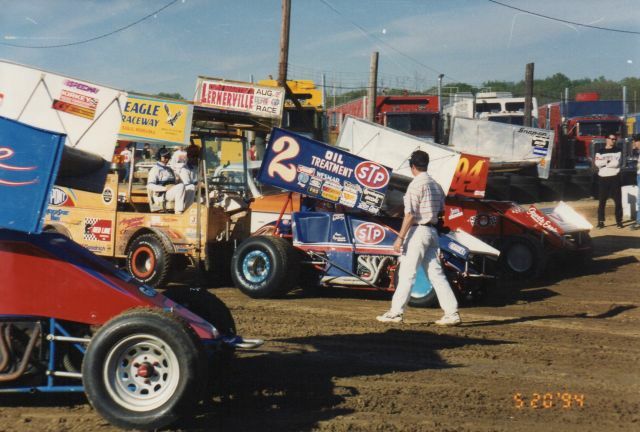 These two personal moments in Attica Raceway Park history cemented in my mind are the most vivid in 25 years of amazing racing. 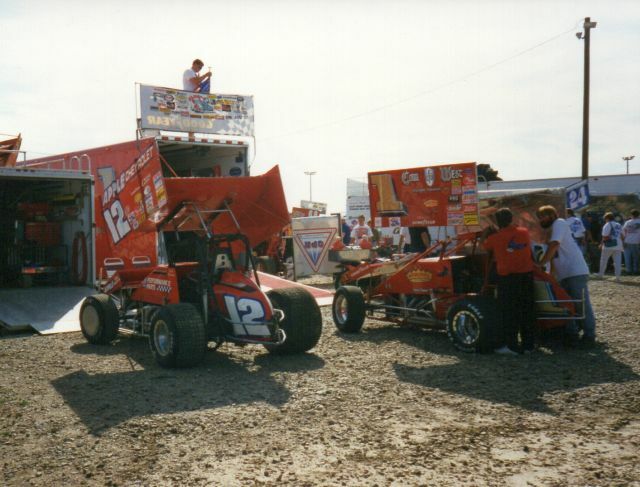 Friday night should be awesome to honor the past and look forward to 25 more years of action at Attica.